Bursa, having a rich core composed of culture, art and science blend is building its future vision on innovation and design based brand-city once again after many long years. As we set out to give Bursa an innovative and design-oriented identity, we were aware that innovation and design should not only be monopolized by certain segments, and the concepts only they are interested in. We have realized the Innovation and Spring Design to present two concepts which are the most important steps for the transition to high added value economy during the fourth industrial revolution circle of our country. Spring of Innovation and Design is a platform that enables industrialists, academicians, entrepreneurs and society of Bursa to come together, blends business alliance opportunities, adopts design and innovation as a culture, and identifies itself with Bursa. 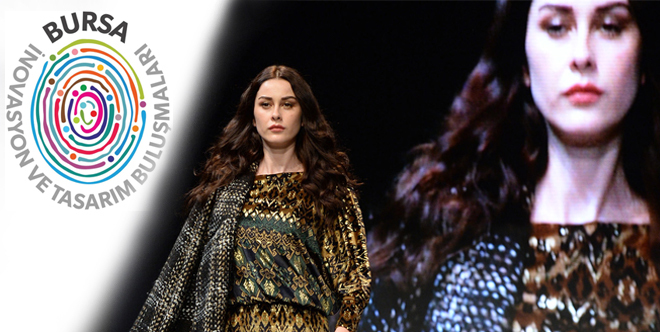 This platform hosts to numerous events from fashion shows of the world-renowned fashion designers and to Turkey's first Home Style Fair, R & D Markets to the Design Competitions, Fashion's Night to Animation Festival and contests. Furthermore, in order to reward innovative companies and encourage the context of Spring of Innovation and Design, Bursa is the first to execute the Innovation Division Practise among chambers and commodity Exchanges in Turkey. While Spring of Innovation and Design brings vision to the creative industries it also transforming our city to become the centre of Innovation and Design.